Industrialist Gautam Punj with his fleet of Mercs. It is an unusually hot and humid afternoon in Delhi. As we wait for the subject of our interview - industrialist Gautam Punj - to arrive, our eyes search the spacious porch area for the star of the meeting. No, it's not Punj we are looking for. Instead, it's his favourite car - the Mercedes-Benz S-Class S 500. When first launched in India five years ago at the 2010 Auto Expo in Delhi, it was tagged "the best car ever made in the world" by the company's then CEO Wilfried Aulbur. Typical company PR-speak, we think - surely the likes of Rolls-Royce, Bentley, Aston Martin, Porsche, Maserati and even Mercedes ' direct competitors Audi and BMW would like to contest that. But Merc drivers and (backseat) riders and even auto experts around the globe swear by that appellation. Says Hormazd Sorabjee, who has driven and tested practically every luxury car in the world, and the Editor of Autocar India: "Definitely, S 500 is the best in its class when it comes to premium luxury sedans. All the top carmakers like Audi and BMW also have very good cars, but S 500 is the best." Tutu Dhawan, a former car rally champion who is now in the business of restoring old automobiles, shies away from calling it the "best", saying it is "one of the best", but adds that Mercedes cars have far greater aspirational value than Audi and BMW. "And the S 500 is the ultimate car from Mercedes," he says. Gautam Punj thinks likewise. Lean, trim and good looking, Gautam, 40 (though he looks younger), is the youngest member of the Delhi-based Punj family. His father and six uncles run independent businesses - the most famous being the Rs 5,000-crore engineering and construction major Punj Lloyd - but stay in the same house. Gautam's father N.P. Punj is the CMD of Lloyd Insulations, which manufactures insulation materials, pre-engineered buildings, fire-proofing and mechanical erection works, among other things, for industries ranging from ship building to steel making to oil refineries to pharmaceuticals to automobiles to many others. Gautam, who joined Lloyd Insulations (where he is a director) about 15 years ago, is as much into running the operations of the business as his father, besides, of course, being earmarked to take over the business in future. Gautam has a fundamental, deep-seated love for Mercedes-Benz cars. In fact, he is almost always among the first to book a new car at launch. It happened with the S 500 (new generation), which was launched in January 2014. It also happened a decade ago when the company launched the SLK in India. "I have been primarily using Mercedes cars since I was 24, when I started work," he says. Reason? Simple. For Gautam Punj, luxury is not in the bells and whistles, but in the most basic requirement of a car: "Ultimately, it comes down to reliability." In all of these 25 years, Gautam claims, none of the Mercedes-Benz cars he drove ever broke down. "Not too sure whether that's true of some of the other luxury cars [that he drove]," he says, diplomatically avoiding naming any other brand. Says Dhawan: "Each car's engine has the signature of the engineer who designed it, and has lifetime guarantee. These engines are built so robustly and with so much perfection that there is no chance of a collapse. In this respect, Mercedes is the best." And then, there is the S-Class S 500. The car is the jewel in the crown of Mercedes-Benz. Worldwide, cars made by the likes of Mercedes-Benz, Audi and BMW are perceived to be premium cars. It is only their top models - the S-Class, A8 and 7-Series, respectively - that are considered luxury. And for Mercedes, the S 500 is its flagship model, in a league much beyond even its other S-Class cousins. With an on-road price of Rs 1.7 crore in Delhi, you'll have to wait about one and a half years for delivery. Gautam tells us why he feels S 500 is better than any Mercedes prior, or other comparable luxury cars. "In terms of driving performance, the suspension on some of the other luxury cars I've driven is not as smooth as the one on the S 500. It becomes very important especially when you are sitting at the back." In fact, Gautam had the same problem with his earlier Merc, an ML350 SUV. Because it was a 4X4, "the suspension was a little harder. In saloons, both in E-Class and S-Class, it is equally good". Experts, too, agree that S 500 offers the smoothest ride of all, despite the fact that others such as Audi and BMW also have different settings for the suspension depending on whether you're driving on the highway or in the city. "Mercedes has really cracked the suspension in the S 500," says Sorabjee. "Compared to the current crop of competitors, it gives the best performance. Of course, BMW will soon launch the new 7 Series, so we don't know what that will bring." The S 500 also has a radar system - which is not available in India - that spots road conditions and adjusts the suspension accordingly. 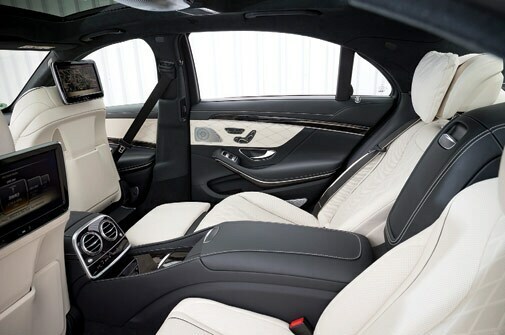 The new S 500 is lengthier, wider and higher, leading to more leg room, head room and shoulder room. The power it generates - 458 hp at 5250-5500Nm of torque - is much more and the car is also faster than the previous generation. New features include seven types of ambient lighting, active parking guidance with 360-degree camera, large COMAND and instrument display (which allows you to control the car's entertainment, navigation, Internet and heating systems), Nappa leather interiors with diamond stitching, 'Hot Stone' massaging rear seats, Burmester Sound System, a much bigger and wider front grille, and so on. A feature called Crosswind Assist helps the driver to stay on course, with specific braking intervention, in strong, gusting cross-winds. This particular feature is claimed by Mercedes to be unique to itself. Another feature called "night vision" allows the driver to spot objects on dimly-lit roads - a passing cyclist, a dog crossing the road, a large stone in an uncomfortable position on the road - that are otherwise difficult to spot. For Gautam, technology is very well, but his priorities are clear. "My preference goes for advancements that have a sense of reliability. I see too often people get very carried away by a fad - the latest thing, the latest phone. That's fine, but when you're going for cars or houses - the big things - there has to be a certain amount of sensibleness in your choice." So, what else does Gautam like in the S 500? The music system. The car has a Burmester 3D high-end surround-sound system (24 speakers, including three in the roof lining, with a total output of 1,540 watts and front bass). And what does he use this setup for? "I listen to Bhajans when I'm going to work, I find it very soothing. And jazz when I go out on Saturday nights or when I'm driving." He also likes the seats: "The seat adjustability is great. Comfort, ergonomics are very good. Many other saloons have deep seats. After a while, they put a strain on your lower back. But the S-Class seats don't get too deep." That is something Sorabjee doesn't quite agree with. "All cars in that segment have very good seats. The A8 (Audi) has seats that can be reclined to become almost like airline seats. There isn't really any differentiator for S 500 in this aspect." Another preferred feature is the massage function of the seats. In Mercedes-speak, it's called the "ENERGIZING hot stone massage function". It has six different programmes. "It relaxes me on a long drive," says Gautam. "Secondly, when I'm driving back from the gym, it's nice to relax your muscles. For my parents, it's very important. Because driving in Delhi for 30-40 minutes is quite stressful, and old people have difficulty getting up after such a drive. This feature helps them." Of course, comparable cars like Audi's A8 and BMW's 7-Series also have massaging function. "Personally I find this quite gimmicky. All these cars have massaging function, so it's no big deal," says Sorabjee. But Tutu Dhawan differs, saying the massaging function in the S 500 surpasses the others. Among other features, the one Gautam likes best is the self-parking feature. "In India, I don't have the confidence to use it because there are just too many cars. But in London I use that a lot. Especially when you need to get the car into a tight gap, it is very useful." Then, the S 500 has seven ambient lighting - Dawn Red, Morning White, Twilight Purple, Late Glow Red, Daylight White, Sunset Orange, Moonlight Blue. "It affects your mood," says Gautam. The ambient lighting is effected by LEDs inside the cabin. In fact, the car does not have a single bulb. Everything is LED. Of course, Audi's A8 also has all-LED in its headlamps. Again, Ambient lighting by itself is not unique to Mercedes, though seven variations is interesting. But then again, as Sorabjee says, even Tata's upcoming Hexa - a premium SUV - will have six ambient lights. For Gautam, the real test of a car is in how much trouble it gives - or doesn't give. "Without wanting to sound morbid, in the eventuality of something going horribly wrong, you'd much rather be in something where you know it is as safe as it can get," he says. For Sorabjee, what sets apart the S 500 from the rest is its overall feel as an opulent luxury car. "The refinement in the engine is very good," he says. "Interior quality is exceptional. The S 500 has a very refined sense of luxury." Gautam has also driven super cars -sports cars like Ferrari and Lamborghini, and luxe ones like Maserati and Aston Martin. He finds the "gullwing", the Mercedes-Benz SLS AMG, "beautiful. But I think my parents will not be too keen on getting a sports car". Finally, we ask Gautam if there's anything at all, about the S 500 he doesn't like. He thinks for a moment, and chuckles: "It doesn't fly!" That it doesn't, but Mercedes-Benz and others are getting close. Several carmakers worldwide - including Mercedes-Benz, Volkswagen, Nissan, Renault, General Motors, and Audi, etc., are working on autonomous cars - cars that can drive themselves. Even Google is on it. In an autonomous car, you can let go of the steering, and the car drives itself through traffic signals, intersections and oncoming traffic, thanks to an array of maps, cameras and radars. In the not-so-distant-future, such cars could allow the driver and passenger to swivel their seats and face the back-seat passengers during a drive, and have a meeting. Or a drink. But will they be as comfortable as the S 500? Ah? Way back in history - in the 1960s and 1970s - the global luxury car market was divided between the Americans, the Brits and the Germans. In America, the Cadillac badge from General Motors ruled supreme. Each year, they became bigger, softer sprung (for more comfort) and more opulent. Ford had its own contender in Lincoln Continental, but it was considered just a step behind the Cadillac by the movie stars and rock stars. In the UK, the Rolls-Royce and Bentley ruled the roost. They were owned and made by the same company, since Rolls had bought Bentley in 1931. The Rolls-Royce billed itself as the most luxurious car for kings, sultans and the truly rich, the Bentley was for the discerning and sporty gentleman who wanted to combine luxury with driving pleasure. In Germany, Mercedes and BMW were battling it out, with Mercedes taking the uber luxury positioning and BMW pitching for driving pleasure. Even then, the Rolls was considered the ultimate in luxury. In the second decade of the 21st century, things are infi nitely more complicated. Cadillac is now a niche player, having fallen by the wayside after a series of missteps that started in the 1980s. BMW now owns Rolls-Royce, while Volkswagen owns Bentley. Mercedes briefly flirted with the uber luxury segment - the one beyond the S-Class - with the Maybach, before discontinuing it. 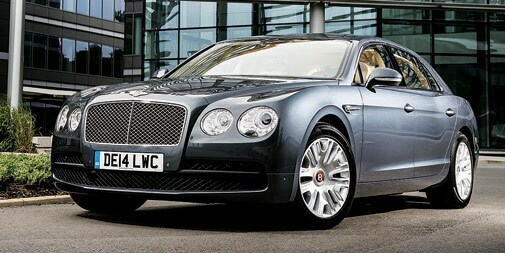 Now, it is reviving the Maybach to take on Rolls and Bentley. Until five years ago, the super luxury end was divided into two segments by car lovers. The fi rst one contained the Mercedes S-Class, the BMW 7 series with the Audi A8 nipping at their heels. Just above this trio was the Rolls and the Bentley, with the Rolls being considered the more luxurious while the Bentley combined luxury with sports lineage. New entrants in the super luxury market include Porsche and Aston Martin. Porsche launched the Panamera, while Aston Martin joined the club with the Rapide. But they have been unable to dent the market of the traditional bigwigs, since true to their lineages these cars remain sporty first, even as they combined these with added comfort and luxury. Over the last two years, the uber luxury car market segments have become blurred. First, in 2014, Mercedes introduced the new S-Class, which was rated by many of the cognoscenti as a car that could rival the Rolls and the Bentley. Suddenly, the S-Class moved one step ahead of the BMW 7 Series and the Audi A8. Meanwhile, Rolls-Royce and Bentley were both bringing out versions that would provide luxury car patrons with an option below their absolute top models. 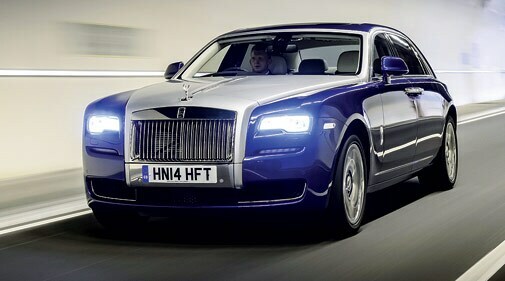 So Rolls-Royce introduced the Ghost - which was supposed to be an "affordable" Rolls, if you could call a car starting at a sticker price of `3 crore plus as affordable. While Bentley hasn't exactly taken that route, it has also brought out different cars to appeal to different segments - the Mulsanne, the Continental Flying Spur, etc. Spurred by the qualitative leap the Mercedes S-Class took in 2014, BMW has also just launched his all new 7 Series (offi cially the BMW 7 Series 2016 model), which will start deliveries in November or December. This one, according to early reviewers, matches and even outdoes the Mercedes S-Class, with technology being the focus. Mercedes has its own plans. Its Mercedes S 600 Maybach will not be merely a stretched Mercedes S 500 - it is a much bigger and opulent car, bringing it straight into the Rolls-Royce Phantom territory. It has never been a better time to be a buyer of super luxury sedans. In fact, if there is a problem, it is a problem of plenty. It used to be that the seriously rich gentlemen and ladies were chauffeured around in the big luxury sedans - the Mercedes S-Class, the BMW 7, the Jaguar XJ or - if they were really loaded, in the Rolls-Royce or the Bentley. Now though, an equal number prefer driving around or being driven around in luxury and super luxury sports utility vehicles (SUVs) and other off-roaders. There is a good reason for this. Traditionally, luxury cars were the exclusive preserve of the rich gentlemen and the aristocracy. If they were young enough, they also had a sports car or a super car in their garage for weekend thrills, but their day job vehicles were generally big sedans. Then the composition of the super rich changed. As rappers, pop stars, wrestlers, football players, boxers, movie stars and other celebrities made their millions - and in some cases, billions - they looked for something more sporty and beefy to suit their rugged images. Till even a decade and a half ago, SUVs were not considered the favourite vehicles of the wealthy. Only one off-roader was considered truly luxurious - the Range Rover (now owned by the Tatas). True, Mercedes and BMW also had SUVs, but these were not emphasised too much and the accent was on sedans. One of the earliest to recognise the shift in market preferences was Porsche, which came out with its Cayenne in 2002. When it announced it was working on a crossover/ SUV, there were howls of protest from Porsche purists who thought the company was losing its core philosophy. However, the Cayenne was a runaway success from the day it was introduced and is one of the company's biggest sellers. 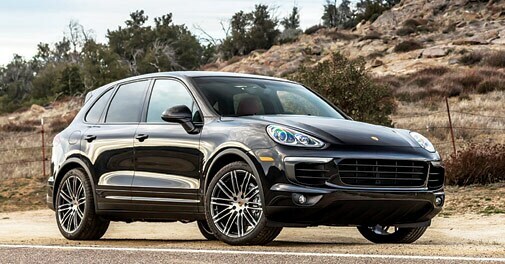 Demand for Porsche SUVs is so high that the company recently introduced the Cayenne's smaller sibling, the Macan.